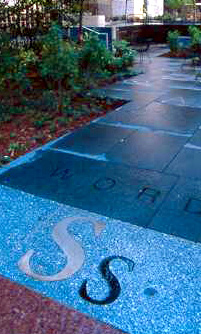 The Eastman Garden is dedicated in honor of Linda Ann Eastman (1867–1963), Director of the Cleveland Public Library from 1918 –1938. Linda Eastman worked at the West Side Branch (Cleveland’s first branch library), launched plans for the landmark Main Library building, and initiated many services to institutions and the visually impaired. 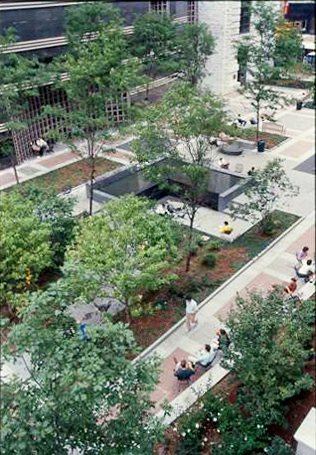 The Eastman Reading Garden is open during Main Library Hours, Monday – Saturday, 10:00 AM – 6:00 PM. Dialogue is the eighth annual installation of See Also, a collaborative effort between Cleveland Public Library and LAND studio to bring temporary works of art to the Eastman Reading Garden at Main Library. See Also is funded through an endowment established by the late Lockwood Thompson, a trustee of the Library and avid art collector. 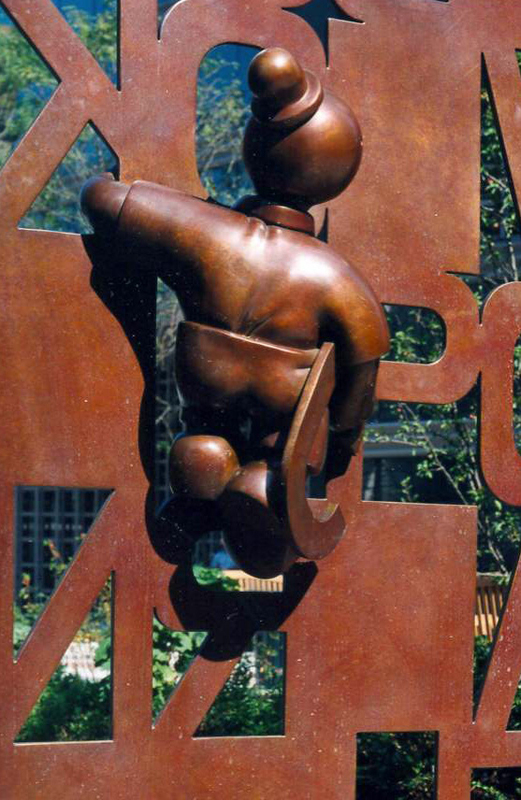 Whimsical bronze figures are busy at work in Tom Otterness’ garden gates – reading, climbing and building. 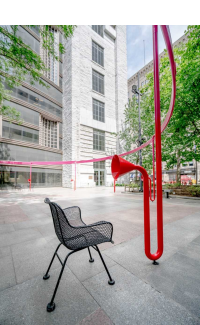 A puzzle of words and parts of words, selected in collaboration with Maya and Tan Lin, form the grille-work of the gates and invite passersby to enter the garden. The gates are crafted of solid bronze. These amusing figures act as garden mascots and add a touch of humor. 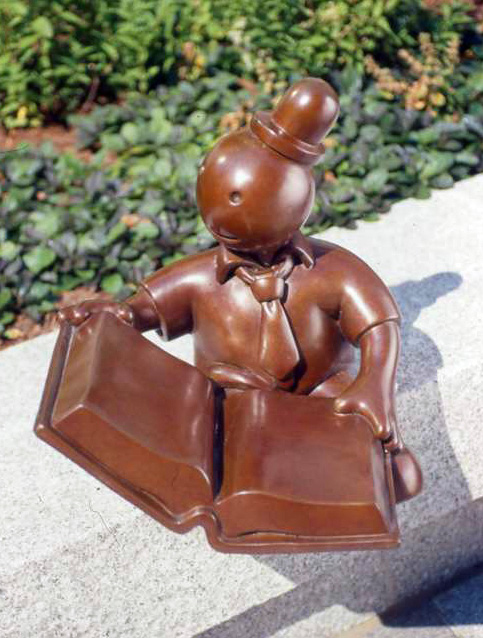 Favorites of children and adults alike, Tom Otterness’ whimsical little people populate the garden, surrounding areas and window ledges.